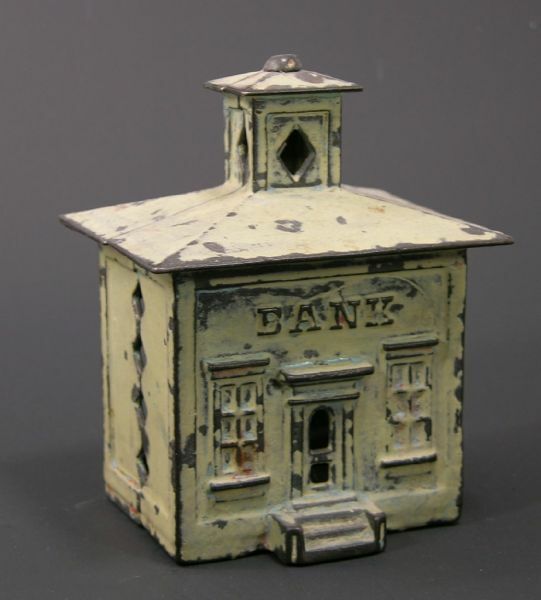 Cast Iron Cupola Bank 1872 by JE Stevens. Not sure but I believe it is an old repaint. Screw appears to be original.